Hi friends! 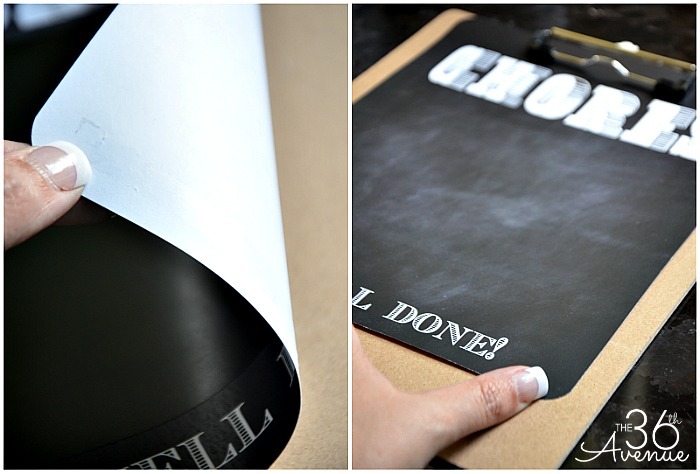 I am sharing today a quick chalkboard chore chart using our new free chalkboard printables and vinyl. I made this as part of our new fridge organization center and I am loving it. 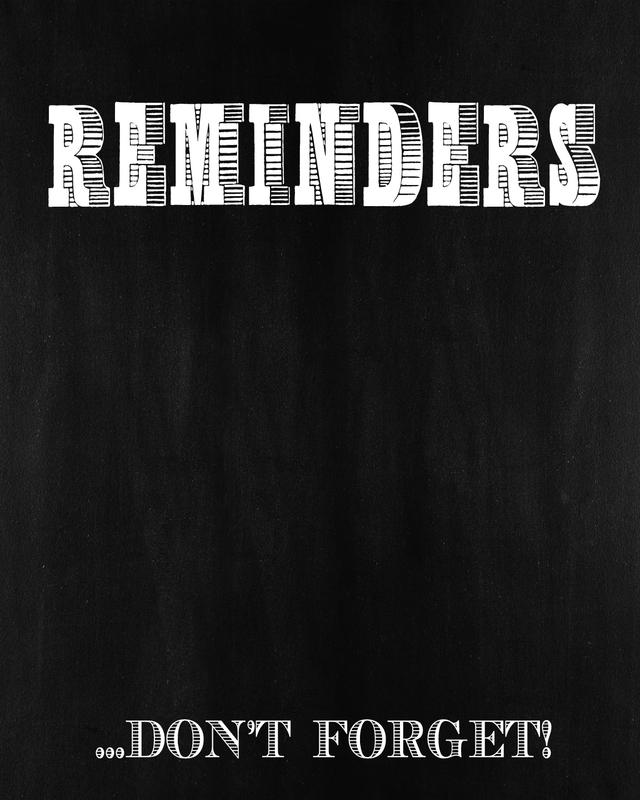 Just in case you don’t need a chores chart I also designed free printables for a shopping list and a reminders board. Here they are! 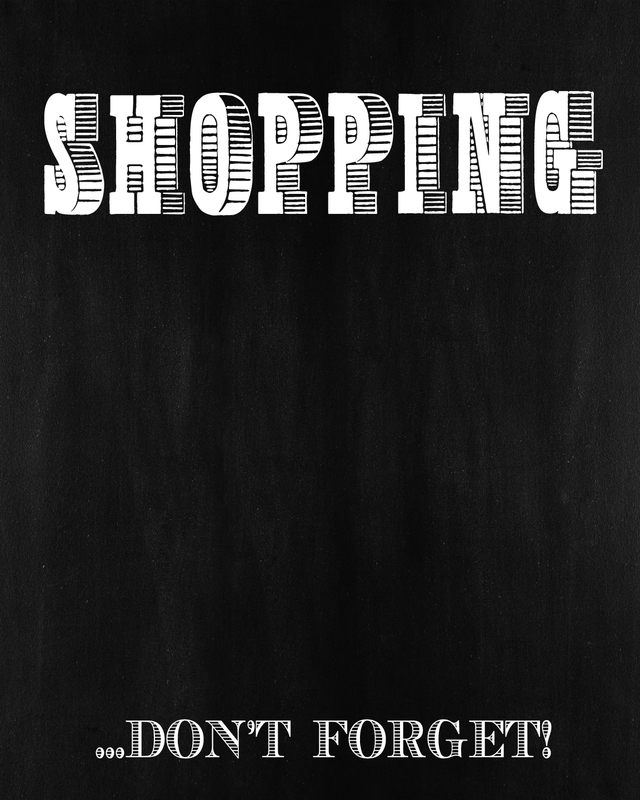 Print and cut the printable of your choice. 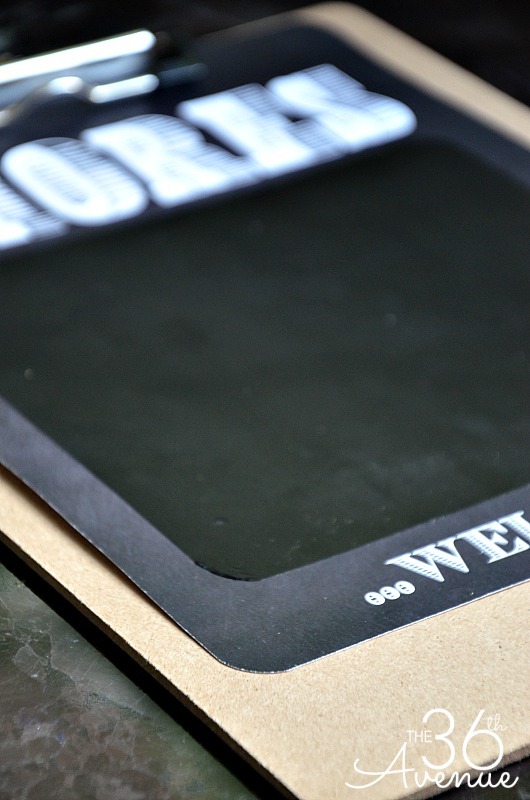 Then add some double sided tape to stick the printable to the clipboard. 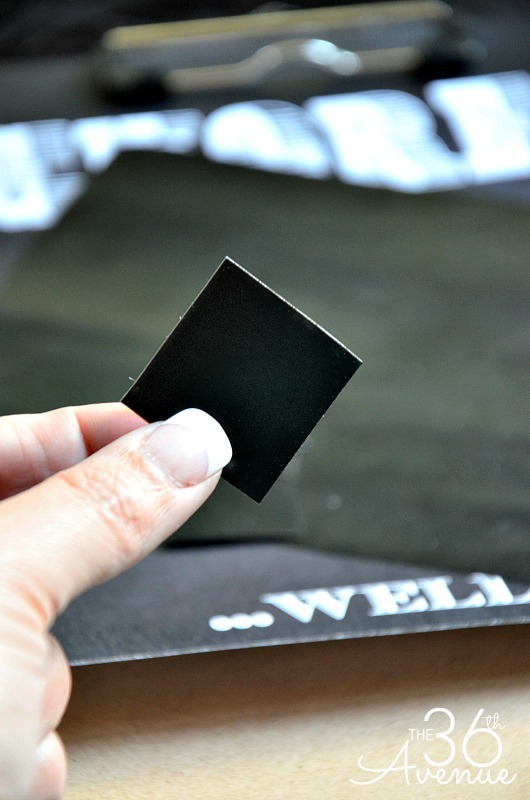 Cut a piece of black vinyl to fill the black area of the printable, peel it off and stick it in place. 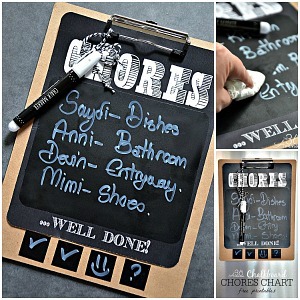 This is the area where you’ll be able to write the chores, your shopping list or the reminders. 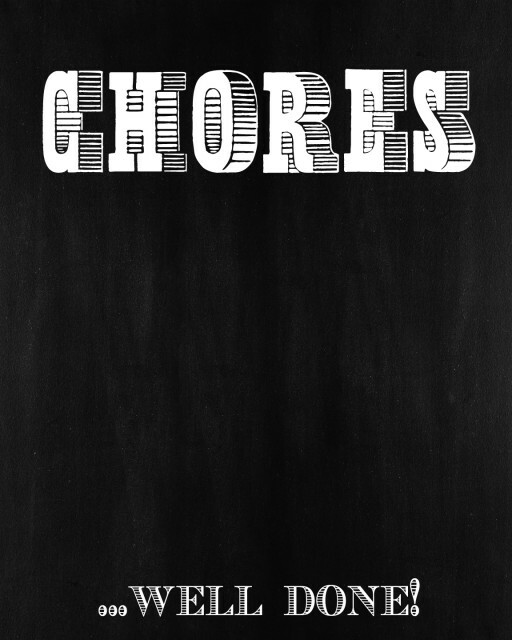 For the Chore Chart you want to cut as many black vinyl squares as the number of people that are going to be doing chores. 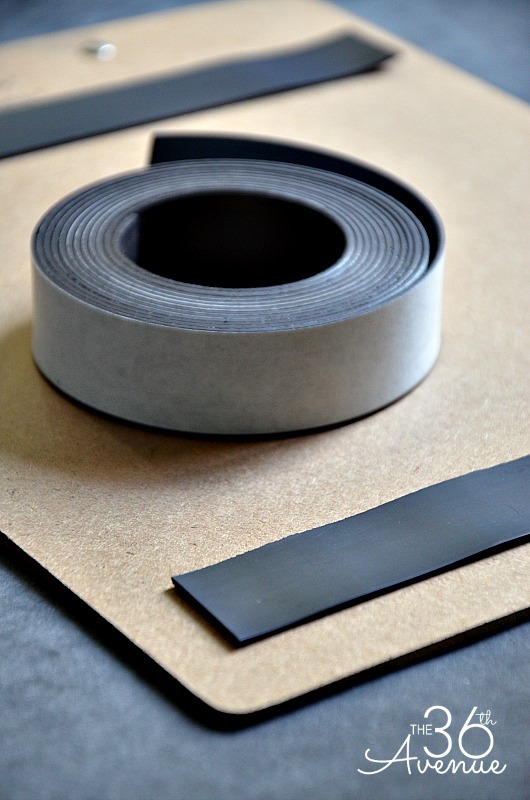 Peel them off and stick them to the bottom of the clip board. This is the area where you are going to mark off the chores. This next step is optional but I used Krazy Glue to attached magnets to the board. 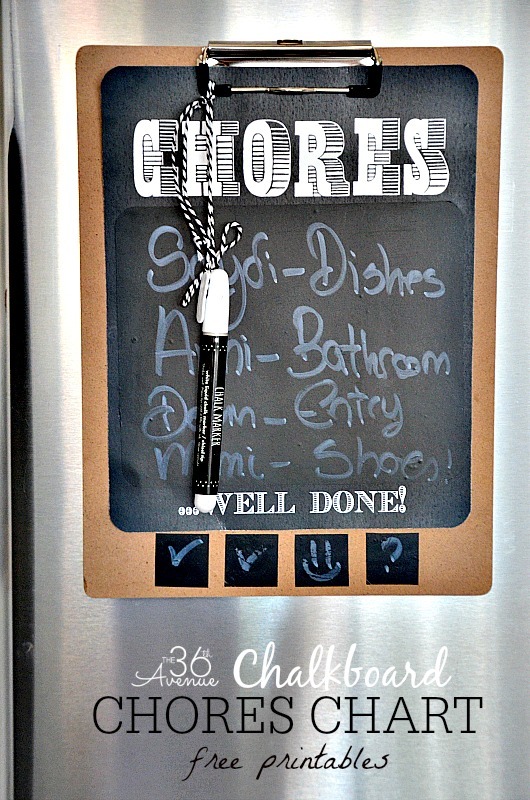 …since our Chore Chart is going to be displayed on our fridge. 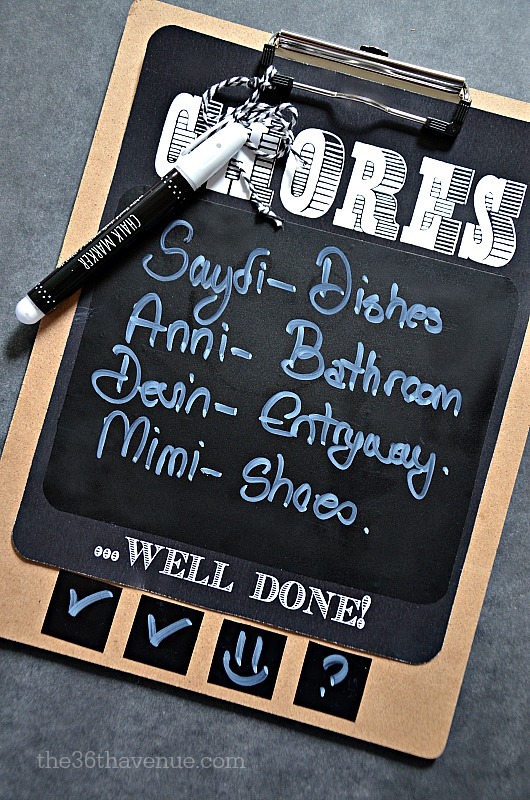 Now all you have left is to write the chores and mark them off everyday! 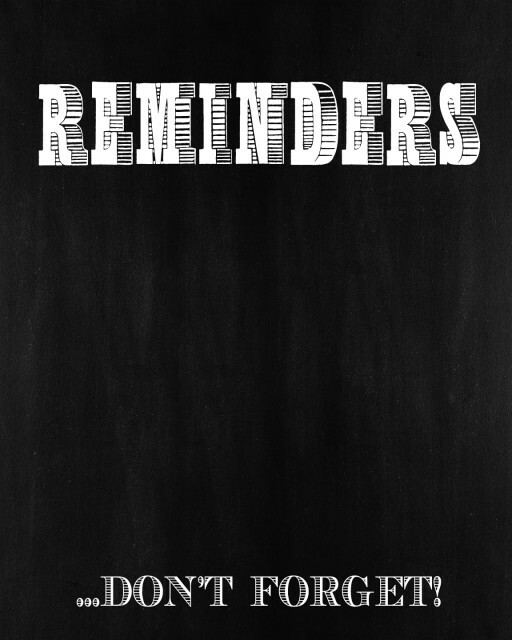 I used a Chalkboard Pen to write on the board. 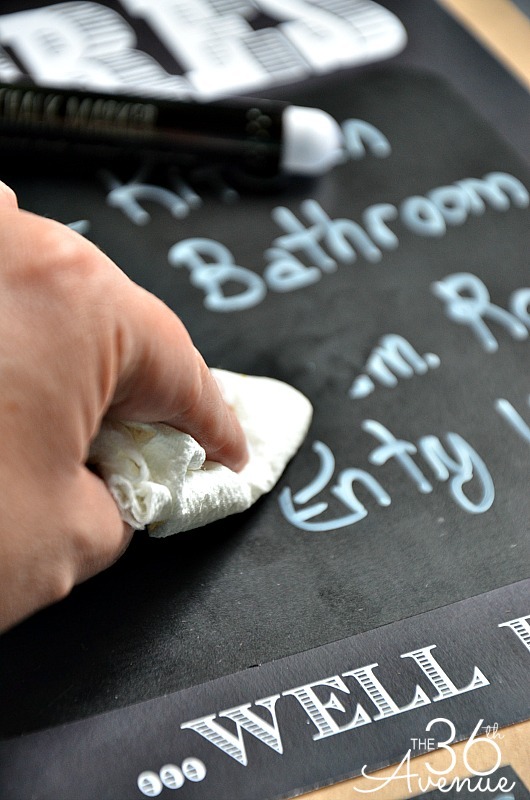 I love that they erase easily with a paper towel! 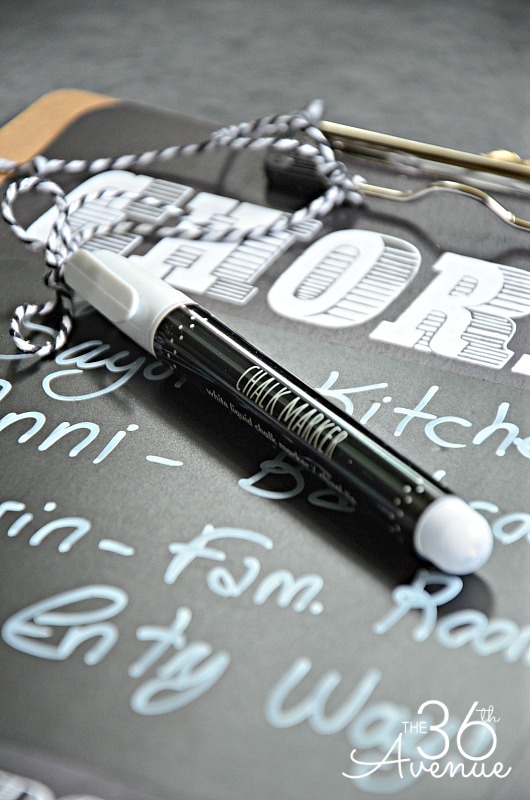 Before you go take a look at these other organization ideas! …and my favorite Free Chalkboard Printables! You’re just finding more ways to use that AWESOME krazy glue. 🙂 haha Once again, LOVE your ideas. Thanks for the free printables. Consider yourself pinned!